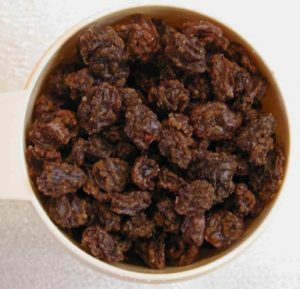 These Thompson seedless raisins, like all dried fruit, are high in calories because of the concentrated sugar. Choose raisins that are not dried out or have sugar crystals on them, as do a few of the ones in this picture. See the nutritional information below.